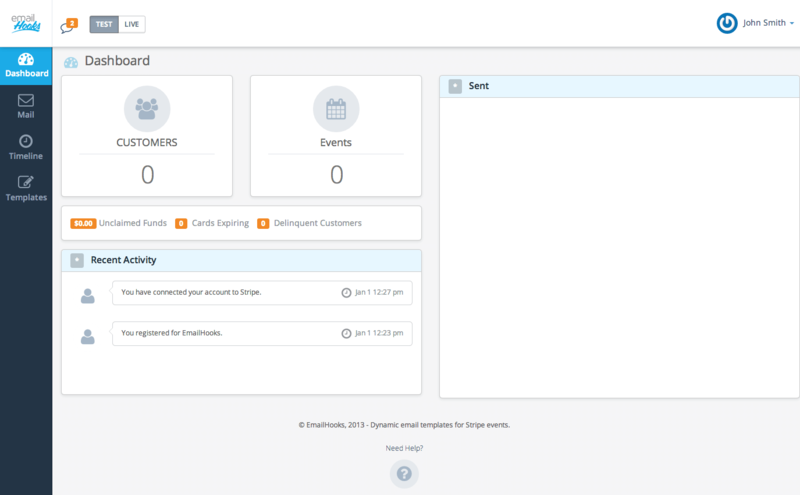 Dynamic email templates for Stripe events. Stay in tune with what's going on with your Stripe payments, see all events as they happen and the associated data that comes with them. We all know how important it is to brand your customer facing content. 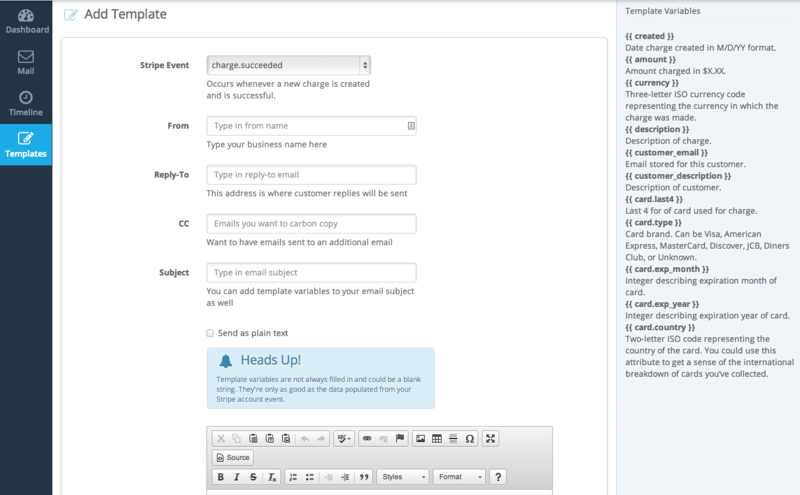 With our platform, you can create stunning HTML or text based emails. We weren't kidding when we said hassle-free. Have peace of mind knowing that we are taking care of handling customer emails behind the scenes. Stay ahead of the curve, by sending your customers notices before their credit card expires. Keep your customers active by being proactive with automatic notification emails. Keep your customers paying and active for your product or service. Create templates to automatically notify your customers when payments fail or their account is past due. Need to deliver files with your emails, you can attach files that will automatically be sent when an event is triggered. Send out notifications when you successfully charge a customer. Let a customer know when a charge has failed. For those situations when you have to issue a refund, automatically kick out an email confirmation. 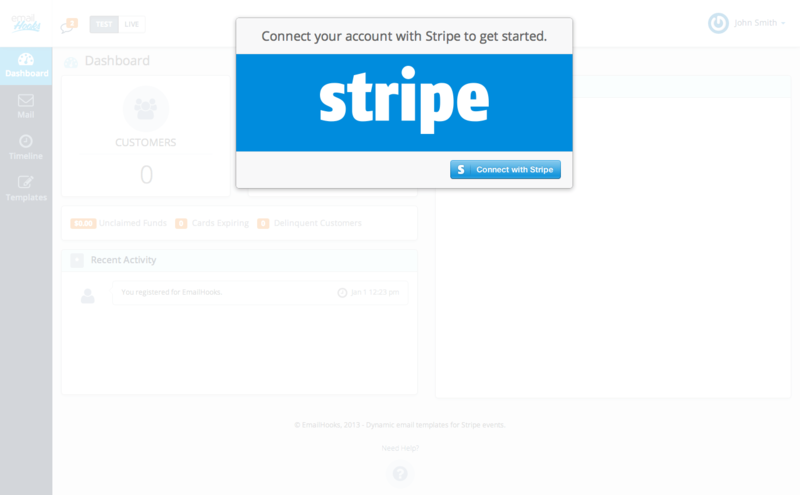 Send an email, when a customer subscribes to a plan within your Stripe account. Send an email anytime there is an update to a customers subscription. Let a customer know that their subscription has been deactivated. Have customers using a plan with a free trial? Let customers know that their free trial is about to expire soon. Send your customers emails when ever their subscription payment has successfully been charged. Let a customer know that their subscription payment has failed and that they should update their information. All plans include a 14 day trial. Need to send less then 100 emails per month? 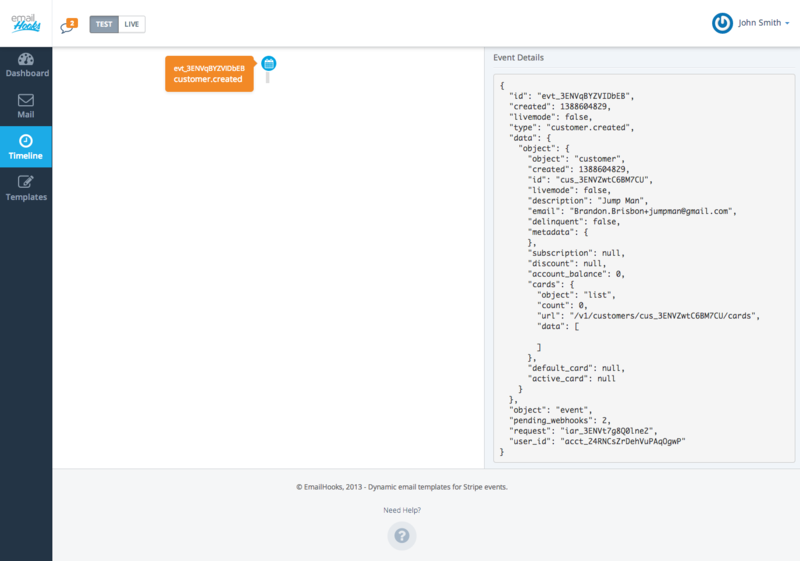 Email delivery/open stats can only be shown using EmailHooks email gateway.